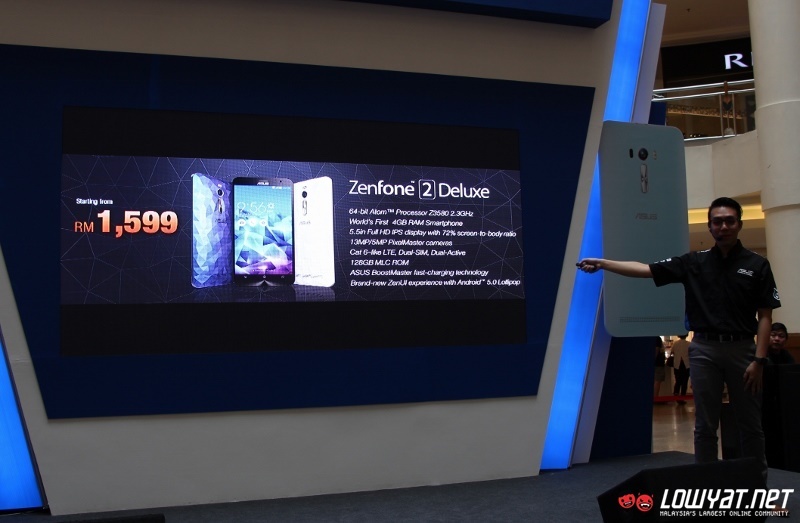 In addition to the ZenPad 7.0 that the company has officially launched earlier in the week, ASUS Malaysia today has launched yet another batch of new products at its Zensation roadshow in Mid Valley Megamall, Kuala Lumpur. It indeed seems like a nice way to conclude the week-long showcase at the famed shopping mall. Leading the group is the ZenFone Selfie which was originally announced during Computex 2015 earlier this year. As per its name, the phone is equipped with a huge 13-megapixels sensor from Toshiba on its front which is also accompanied by a dual LED flash. Its rear camera also has the same setup together with the addition of the laser auto-focus system. Other than that, the ZenFone Selfie also carries a 1.5 GHz Qualcomm Snapdragon 615 MSM8939 octa-core processor, 3GB RAM and 32 GB internal storage with the support for up to 128 GB microSD card. It is also built with 5.5-inch full HD (1920 x 1080) IPS display that is covered with a layer of Corning Gorilla Glass 4. 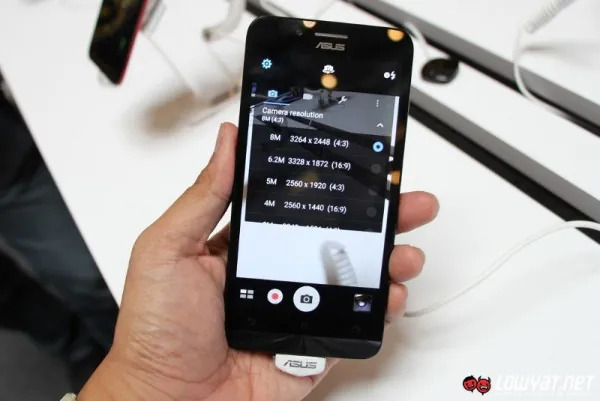 The second smartphone that ASUS Malaysia launched today is the ZenFone 2 Laser which might looked almost identical to existing ZenFone 2 at a glance but there are indeed several differences that set them slightly apart. One of them is the existence of laser auto-focus system for its 13-megapixels rear camera which is something that is not present on ZenFone 2. 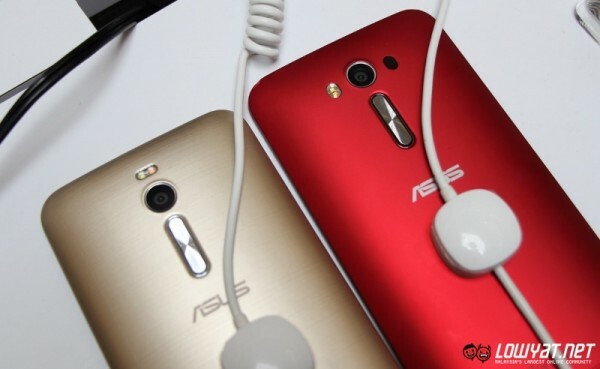 (L – R): ZenFone 2 and ZenFone 2 Laser, side by side. As you can see, the flash’s position on ZenFone 2 Laser is different and it also contains additional cavity which houses the IR light that is part of the phone’s laser autofocus system. Other than that, the processor on ZenFone 2 Laser doesn’t come from Intel as per existing ZenFone 2 models but instead, it came from Qualcomm in the form of 1.2 GHz Snapdragon 410 MSM8916. 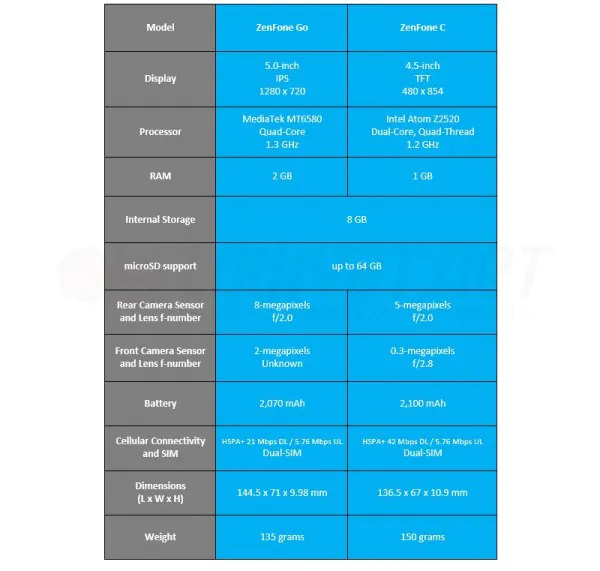 The phone also features smaller 2,400 mAh battery alongside 5.5-inch HD IPS display, 2 GB RAM, 5-megapixels front camera, and 16GB internal storage. 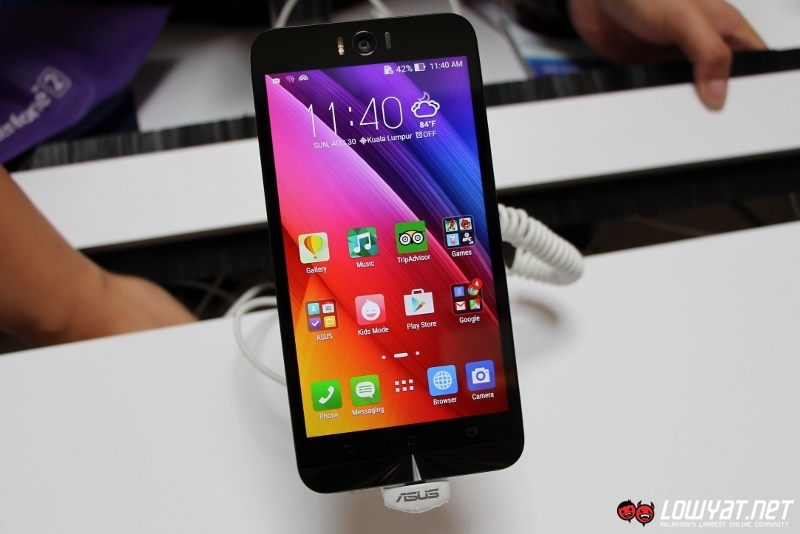 At the same time, ASUS Malaysia has also announced the ZenFone 2 Deluxe which is essentially a ZenFone 2 ZE551ML with a huge 128GB internal storage and the fancy looking back cover with texturized polygonal design. Hence, it also carries the 2.3 GHz Intel Atom Z3580 processor, 4GB RAM and 5.5-inch full HD IPS display. 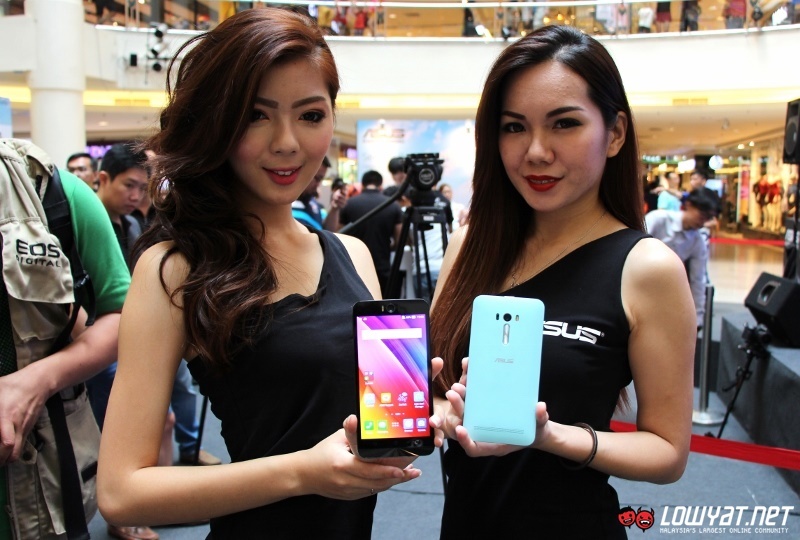 The specs and Malaysian price for ASUS ZenFone 2 Deluxe. The dual-SIM LTE phone is also equipped with a 13-megapixels rear camera, 5-megapixels front camera, and 3,000 mAh battery. Despite being announced at the event, there was no demo unit for ZenFone 2 Deluxe for us to check out. Last but not least, there is also the ZenFone Go. The phone might looked identical to ZenFone C which is not surprising since both are entry-level models but ZenFone Go comes standard with Android 5.1 Lollipop as opposed to ZenFone C that is pre-installed with Android 4.4 KitKat. Additionally, the ZenFone Go also features 8-megapixels sensor on its rear camera while the ZenFone C’s rear camera comes with 5-megapixels sensor. One of the key factor that set the ZenFone Go and ZenFone C apart is its 8-megapixels rear camera. Among all the devices that ASUS Malaysia has launches today, only the ZenFone Go is already available immediately for RM 509. As for Selfie, Laser, and Deluxe, they will arrive in Malaysia within the next few weeks with a price tag of RM 1,049, RM 799, and RM 1,599 respectively.